Are you injured? Call us now to talk to one of our knowledgeable Treatment Advisors. Our Advisors can help you choose the right product for your injury, give you expert treatment advice and guidance on how to heal and feel better as quickly as possible. Our lines are open and our Advisors are waiting for your call! The Basics Heating Wraps are designed to provide you with soothing warmth. We have custom designed Heating Wraps for the Foot, Elbow, Ankle, Knee & Achilles. Each Heating Wrap comes with a 3-level controller that allows you to choose how much heat you want. The higher the level, the more heat you will feel. The controller has a built-in timer that will shut the Heating Wrap off after 20 minutes. This is an important safety feature that many traditional heating pads don't have. Your sore, aching muscles, tendons and ligaments will appreciate the incredible warmth of a Basics Heating Wrap. The Basics Cold Wraps do an excellent job of providing you with cold and compression. 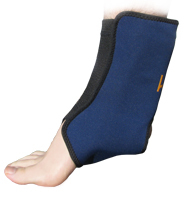 We have specially designed Cold Wraps for the Foot, Elbow, Ankle, Knee & Achilles. Each Cold Wrap comes with 1 sewn-in RigiGel® pack, meaning it always stays in place. RigiGel® is firm yet flexible, ao it won't move away from the treatment area. It molds comfortably to your body and doesn't migrate to other areas of the pack like gooey blue gel. These wraps are great at getting in all the sore, swollen areas a generic cold wrap can't. Our KB Basics line of products is the economical alternative to our medical device line. The KB Basics come in both a Cold Wrap and a Heating Wrap. Like the BFST® and ColdCure® Wraps, they're also designed for a specific body part to ensure a comfortable, targeted fit. The Basics Wraps require no adjustment, so using them is always hassle-free. Note from KB WebMaster - The text below is primarily intended to assist with Google properly classifying this page content. To learn more about our products please visit our website.<br>King Brand Healthcare Products manufactures medical devices, medical tape and consumer grade products. Our medical devices are the Blood Flow Stimulation Therapy Wraps and the ColdCure Wraps. We have BFST and ColdCure Wraps for all parts of the body. They are designed to treat a variety of soft tissue injuries and chronic conditions. BFST promotes healthy blood flow for faster healing. ColdCure reduces pain and inflammation. 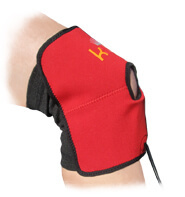 Our KB Support Tape is designed to provide your injured tissue with extra support and protection. Wear our Tape during physical activity or any time you need bonus support. Our consumer grade products are called KB Basics. Our line of Basics products are designed to provide either heat or cold. The KB Basics Cold Wraps target the sore, swollen areas. The KB Basics Heat Wraps target the sore, aching areas. Please contact us if you have any questions regarding our products. If you don't know which product is right for you, one of our Advisors can help.